Sleek and stylish for him? Yes indeed! These Danner Men's EH 17309 Black Quarry USA-Made 8 Inch Waterproof Boots are both, and we know that you’ll love them! When high fashion meets utility! Yes, it can, and has, been done! Enjoy warm and dry feet with the 100 ... (see full details) (see specifications) #DNN17309. Sleek and stylish for him? Yes indeed! These Danner Men's EH 17309 Black Quarry USA-Made 8 Inch Waterproof Boots are both, and we know that you’ll love them! When high fashion meets utility! Yes, it can, and has, been done! Enjoy warm and dry feet with the 100% waterproof and breathable GORE-TEX® lining inside of this premium footwear. And if you’re looking for superior protection, then look no further, because these American-made shoes have full-grain, all-leather uppers. These uppers provide you with a classic design as well as protection against the wear and tear of any job site. Danner has handcrafted these men's boots with a stitchdown construction that provides wider platforms for increased stability underfoot. Because of this special construction, this exceptional footwear is recraftable in the Danner's Portland factory, if necessary. In addition these black shoes are also triple stitched for superior endurance, as well. They are equipped with rugged hardware for a secure fit and long lasting performance. You'll be wearing these babies for years to come! Also, the new, Vibram® Quarry outsoles feature 90-degree heels, oil- and slip-resistant rubber compound, and a non-linear lug pattern for superior traction and debris release. Good for those slippery or rocky grounds! Last, but not least this footwear is crafted with fiberglass shanks for superior support and they have electrical hazard protection ASTM F2892-11 EH. These stylish Danner Black 17309 Quarry 8 Inch Waterproof USA-Made Boots are the ones! You know it! And your feet know it So order your pair online from the Working Person's Store today. Had them for 3 weeks now. Comfortable wearing. My day lasts for 14 to 15 hours everyday. It starts with a good pair of boots. if you buy cheap boots you will find out when your ankles, knees, hips, back, and neck hurt day in and day out. Spend money now on a quality pair of boots and you will be thankful later in life. I have worn Danner boots for the past 22 years in different capacities and I will not change. I changed to these 8" Quarry's from the 6" models I have been wearing the past 3 years for a little more protection and ability to stand in a couple more inches of water. Other than the break in period being a little more troublesome in the past, I do like these boots just as well as the other Danners I have worn over the years. The boots are SOLID, and once broken in, they become very flexible. I believe the added height played a role in how they fit my feet and hence the break in which realistically was a day or two more than my last pair. Awesome boots and like I said, I won't wear anything but Danners. Over year later still holding up very well and still waterproof. I wear them M-F working in the elements, seriously no complaints! No problem recommending them, I also think they USA made. Compaired to a wellington and other lace ups they are a little heavier. For me the sizes run a little narrow. Overall top notch boots. My son loves these boots, I bought him these for his birthday last year and they still look like new. He wears them every day. They last and last over the other brands of boots that he has had. He loves them so much, when the toes start to wear out, he puts duct take around them. Don't have to buy very often as the wear great. 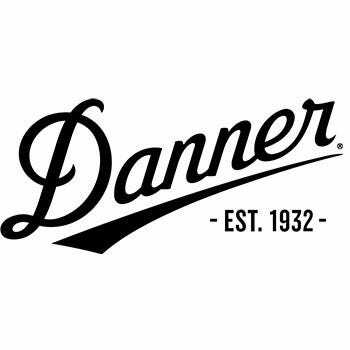 Danner Boots: Men's 17309 Black EH USA-Made Waterproof 8 Inch Quarry Work Boots is being added to your cart.